Angels are most often considered the divine emissaries of good in the world. They are frequently depicted as being sent by a higher power in order to spread a good, holy, or just cause in the world. They also typically are representative of a concept or principle in the world. 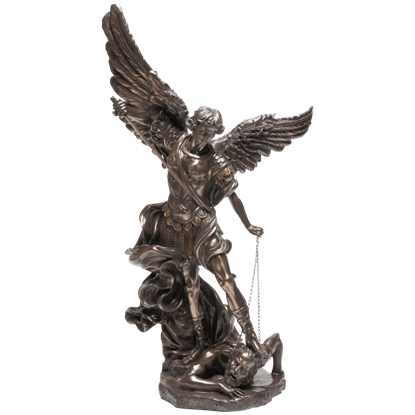 Examples of those angels who represent positive and lasting principles are Tabbris the Angel of Self Determination, Rampel the Angel of Endurance, and Balthial the Angel of Forgiveness. Each of these angels represents something that is good in the world something that the world could use more of. Because angels can stand for such singular yet broad concepts, they can mean almost anything to anyone. Forgiveness does not mean the same thing to each individual person, just as the concepts of Endurance, Truth, and Faith do not always mean the same thing to others as they do to one specific person. That is what makes our selection of angels so great. 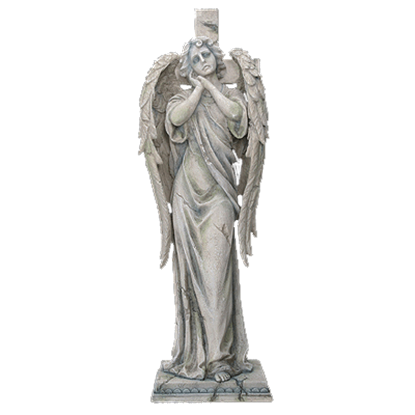 We offer a wide variety of angel interpretations and styles throughout our angel statues and collectibles category, ranging from reverent angels and specific religious angels to fantasy angels and angel maidens. Because an angel can mean something different in different situations and to different persons, that makes them a fantastic gift. 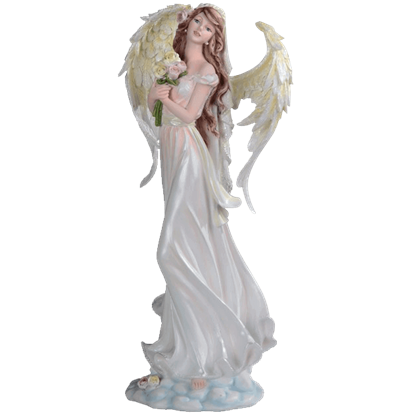 Give our angel statues and collectibles as gifts to friends and family to remind them of their positive qualities or keep them as personal reminders of qualities that should be sought and practiced. Abdiel is the Angel of Faith. This angel has her hands rested upon her cheek and her eyes are closed. This statue is made of hand-painted cold cast resin. 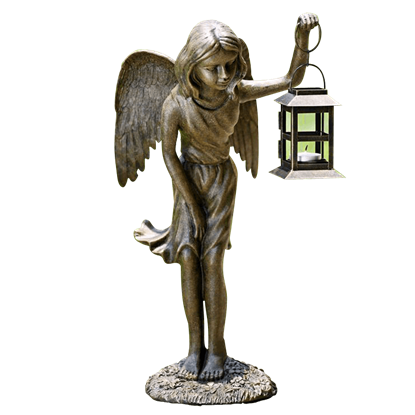 This angel would be a perfect gift for anyone who needs a little faith. Many angels are patrons of a group of people or bringers of some aspect of life, such as guardian angels and angels of love. 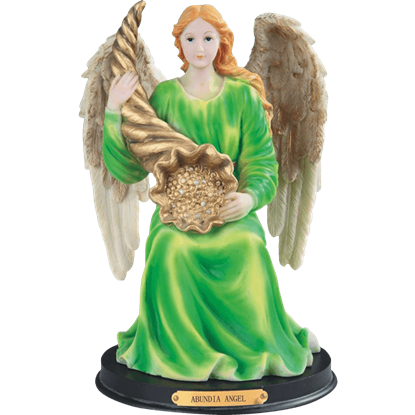 The angel shown in the Abundia Angel Statue is an angel of abundance, and her mission is prosperity. In the age-old battle between good and evil, some believe that the two forces need each other in order for the world to keep turning. 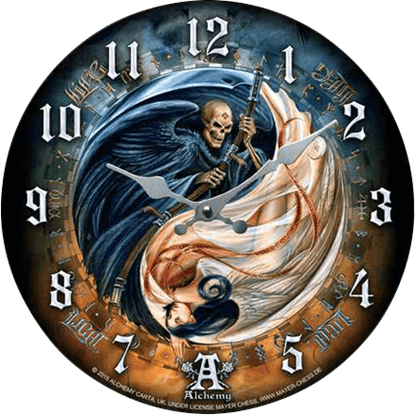 This Angel and Demon Yin Yang Clock represents this concept in a colorful piece of home decor. Where there is light, there is a lingering shadow, and where there is darkness, the light looks to fill it. 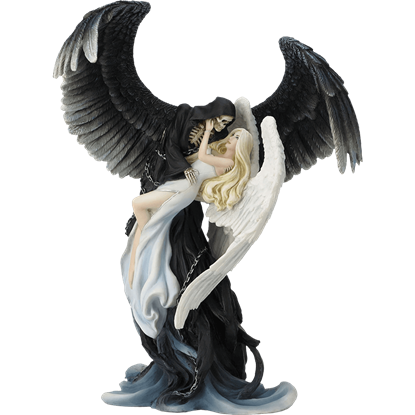 This cosmic attraction has been artfully rendered in gothic fantasy style by the darkly romantic Angel and Reaper Statue. This Angel atop Gargoyle Statue depicts a fairy sitting upon a red-eyed gargoyle with a snowy white owl resting by her side. The dark feathery wings of the fairy are spread above her as she calmly rests her head on one of her knees. The Angel Bride Statue holds a bouquet of pastel roses to her chest as she stands on a blue cloud. Dressed in a shimmery gown and bridal veil, the angel depicted in this statue makes the perfect gift for a loved one or bride-to-be. Angels have long been a source of inspiration when it comes to art, having been featured in countless paintings and sculptures. 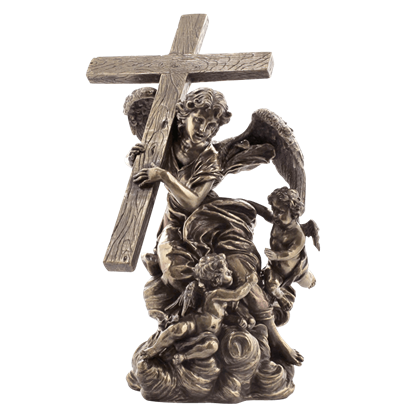 This Angel Carrying Cross - From Alaleona Chapel Statue recreates one such piece from history. 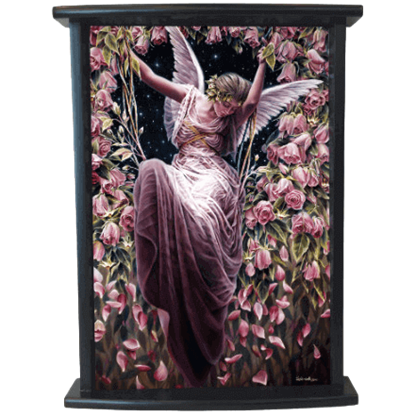 The Angel Gatekeeper Tray features a beautiful starlit scene based on the fantasy graphic by artist Sheila Wolk. This decorative tray is made from MDF and its gorgeous artwork is intricately detailed and emotive. 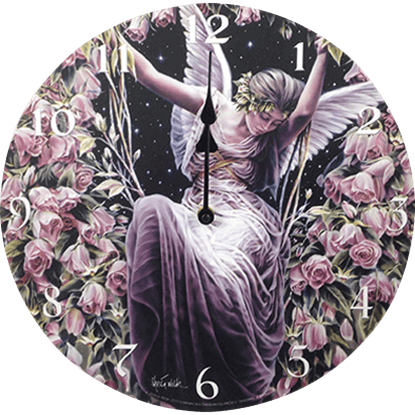 Displaying a beautiful starlit scene, the Angel Gatekeeper Wall Clock features a striking fantasy graphic by artist Sheila Wolk. An angel rests her tired head against an arm that reaches up to hold the rose vines that form her swing. Often, it seems like the ones you love most in your life are angels sent from above to make your life better. 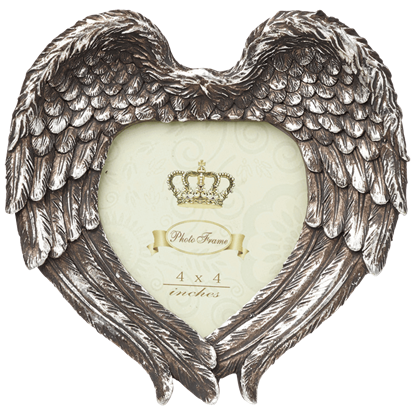 If you see a loved one as an angel, why not put their photo in an angelic frame? Use the Angel Heart Photo Frame!